Book a Shanghai Disneyland Resort ticket together with a magical stay at the Toy Story Hotel! Make sure you always have internet access in China with a portable WiFi router that will work anywhere in the country. Keep up to 5 of your mobile devices online by connecting to China Mobile’s 4G network. You can enjoy 4G LTE speeds for up to 500 MB per day, and then unlimited 2G speeds afterwards, more than enough for messaging, maps, and general internet surfing. 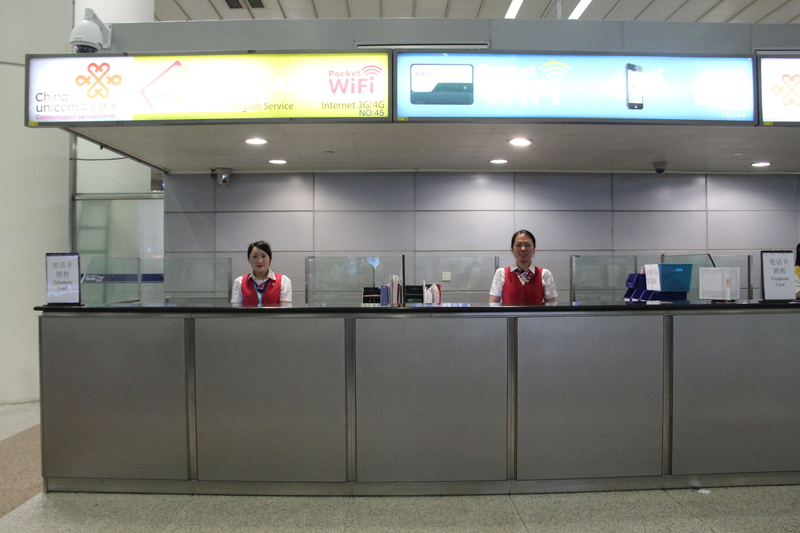 You can pick up your portable WiFi egg right after landing at Shanghai PVG Pudong International Airport. Simply show your voucher at the counter, complete the registration process by taking a picture with your passport and WiFi device, and paying the security deposit. After that, you’ll be able to connect to the internet anywhere you travel within Mainland China. 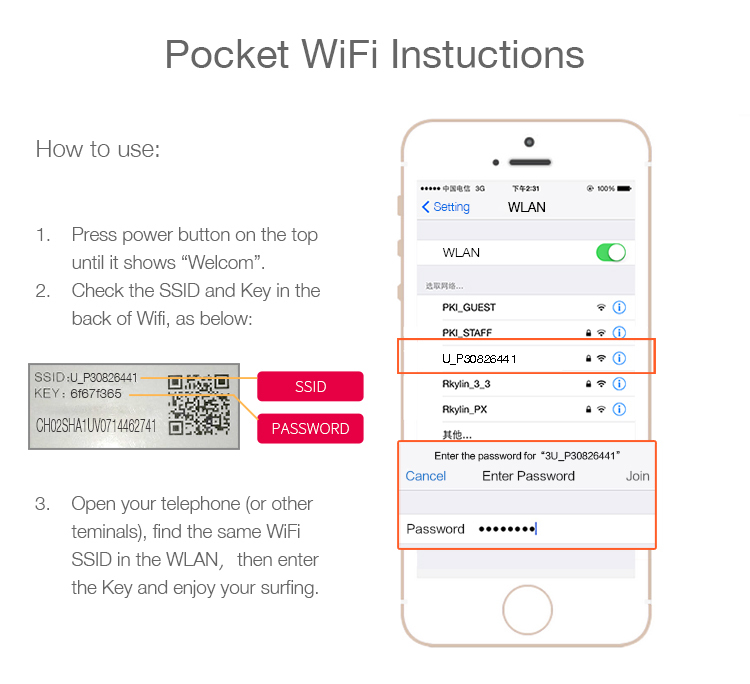 When you are ready to go home, simply return the device at the airport before checking into your flight. Make sure you don’t return the device late or you will forfeit your deposit! Pick up your WiFi egg today at Shanghai PVG Pudong Airport and enjoy up to 500 MB 4G per day + unlimited 2G for up to 5 devices! Device collection was relatively easy. From the arrival hall, I made my way up to the Departure Hall between doors 22 and 23 (Row E) to collect the device. Fuss-Free! Pay the deposit of 500rmb and take a photo of yourself holding the device for verification purposes. The device also doubles up as a portable charger which is very handy to carry around, and the battery lasts a whole day without having to power off! Connectivity was rarely intermittent, but that is typical of Chinese providers, regardless SIM card or WiFi egg. Device collection was relatively easy. From the arrival hall, I made my way up to the Departure Hall between doors 22 and 23 (Row E) to collect the device. Fuss-Free! Pay the deposit of 500rmb and take a photo of yourself holding the device for verification purposes. The device also doubles up as a portable charger which is very handy to carry around, and the battery lasts a whole day without having to power off! Connectivity was rarely intermittent, but that is typical of Chinese providers, regardless SIM card or WiFi egg. The wifi was realible however, the usual sites blocked in China are not accessible using the stick. I just downloaded a VPN on my phone for the blocked sites work. The wifi was realible however, the usual sites blocked in China are not accessible using the stick. I just downloaded a VPN on my phone for the blocked sites work. Very convenient. 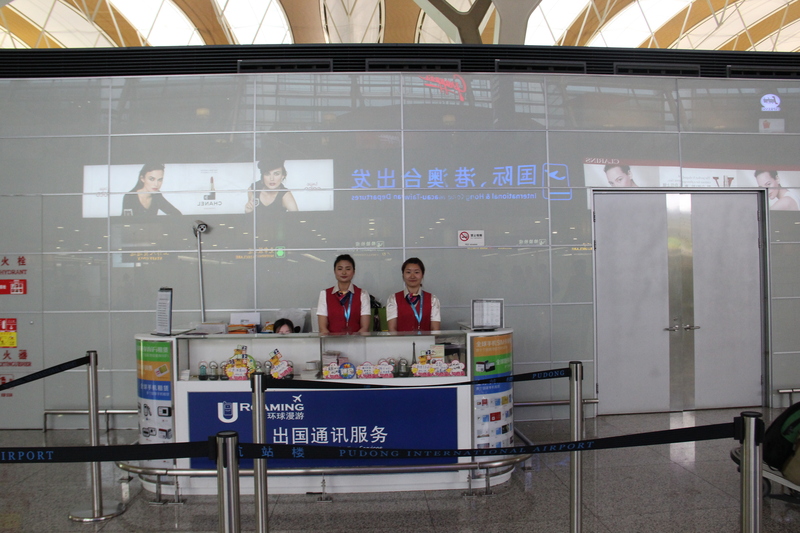 It was a bit of challenge to find though as there are similar kiosks around the airport. I was able to use USD as deposit instead of Yuan. Very convenient. It was a bit of challenge to find though as there are similar kiosks around the airport. I was able to use USD as deposit instead of Yuan. The wifi router was given very conveniently. It was prompt. Easy to book. Lots of units available for every traveler. Easy to use. It is intuitive. Anyone can avail. I recommend using it for your travel in China. It has a charger, a pouch, the instructions and the unit itself. It is reliable in many cases. Very handy. Use up the load everyday so you can maximize the limit. Thank you so much. Hope to use your service again. The wifi router was given very conveniently. It was prompt. Easy to book. Lots of units available for every traveler. Easy to use. It is intuitive. Anyone can avail. I recommend using it for your travel in China. It has a charger, a pouch, the instructions and the unit itself. It is reliable in many cases. Very handy. Use up the load everyday so you can maximize the limit. Thank you so much. Hope to use your service again. This 4G WiFi (CN Airport Pick Up) for China is quite nice. You can easily pick up the device and return the same in PVG departure hall. The browsing speed is fast and I can surf on the Internet steadily. The battery can last for a whole day so external battery may not be necessary. Recommended! This 4G WiFi (CN Airport Pick Up) for China is quite nice. 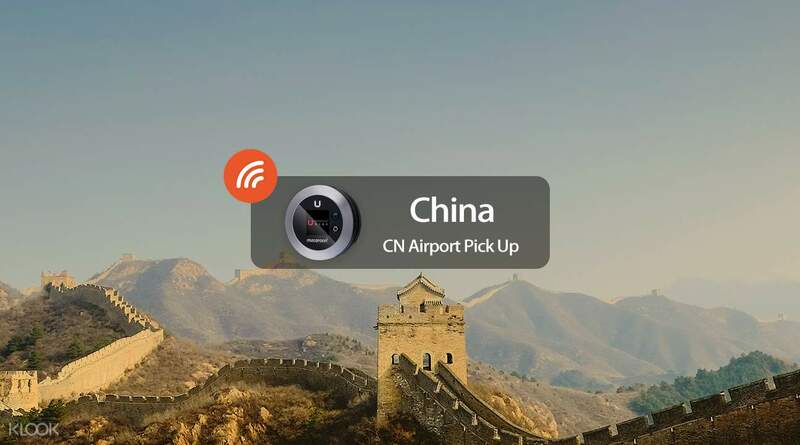 You can easily pick up the device and return the same in PVG departure hall. The browsing speed is fast and I can surf on the Internet steadily. The battery can last for a whole day so external battery may not be necessary. Recommended! After exiting from Pudong Airport Arrival Hall T1, turn left and counter 44 is just straight ahead on the left. Pick up of router was swift but the ladies at the counter weren't that friendly. Nevertheless, gotten what I need and paid RMB500 deposit which I got back after returning the router. After exiting from Pudong Airport Arrival Hall T1, turn left and counter 44 is just straight ahead on the left. Pick up of router was swift but the ladies at the counter weren't that friendly. Nevertheless, gotten what I need and paid RMB500 deposit which I got back after returning the router. Convenient location to pick up and return the pocket WiFi unit. Only downside is the hassle to leave 500RMB deposit. Please note that you can’t access Google, Youtube, WhatsApp, Facebook as well as Waze and Google map. Also, limited access to viber. I used apple map to go around the city. Convenient location to pick up and return the pocket WiFi unit. Only downside is the hassle to leave 500RMB deposit. Please note that you can’t access Google, Youtube, WhatsApp, Facebook as well as Waze and Google map. Also, limited access to viber. I used apple map to go around the city. found the booth easily and the wifi worked well. battery life was very good. returning the device and getting back my deposit was also quick and hassle free. found the booth easily and the wifi worked well. battery life was very good. returning the device and getting back my deposit was also quick and hassle free. Seriously, no issue whatsoever with the pocket wifi. Speed was good. Battery was amazingly long lasting. Collection and return was smooth as well. Will use it again and again! Seriously, no issue whatsoever with the pocket wifi. Speed was good. Battery was amazingly long lasting. Collection and return was smooth as well. Will use it again and again!